Part Number: WFX000250. Def 90 TD5 Bearmach Fuel Pump. Land Rover Defender 90 TD5 In The Tank Fuel Pump. Defender 90 TD5 Only, (1998-2006). Defender Parts. Series 2 & 3 - Defender 90/110/130, Discovery 1,2,3,4,5 & Sport - Freelander 1 & 2 - Range Rover Classic, P38, L322, L405, Sport & Evoque. OEM Part Numbers : WFX000210, 228-232-003-003Z, 228232003003Z. Land Rover. Car : LAND ROVER. FREELANDER (LN) - 2.5 V6 4x4. With Fuel Sender Unit. FREELANDER Soft Top - 1.8 i 16V 4x4. FREELANDER (LN) - 1.8 i 16V 4x4. Full kit including hardened Boost Pin. This allows slightly more advanced timing at higher revs, allowing the power to remain longer before it flattens out at the top end. Hardened Boost Pin. Boost Ring® - 200Tdi & 300Tdi. WFX000280 Fuel Pump & Filter. Part Numbers: WFX000280 & ESR4686. 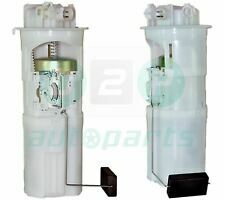 Land Rover Discovery 2 TD5 In Tank Fuel Pump & Filter. Land Rover Discovery 2 TD5, (1998-2004). Land Rover Parts. Discovery Parts. they can often draw air into the system causing any/all of the above symptoms. Here we have a genuine Bearmach fuel pump sender unitSuitable for Land Rover Defender TD51998-2006. This is not to be mistaken with the cheaper alternatives available. This is quality part supplied by Bearmach and as such carries the manufacturers 3 year warranty. Fitment: LAND ROVER LAND ROVER DISCOVERY II (LJ, LT) 2.5 Td5 4x4 Engine:10 P,15 P ccm 2495 kw 102 cyl 5 year 1999-2004 LAND ROVER DISCOVERY II (LJ, LT) 2.5 Td5 4x4 Engine:10 P,15 P ccm 2495 kw 100 cyl 5 year 1998-2004 Specifications: Operating Mode: Electric Rated Voltage: 12 V Fuel Type:Diesel OE Number: WFX000280, WQC000220, WFX000240, WFX101080. 2.0 Td4 4x4. Anti Roll Bar link. FREELANDER MK 1 SOFT TOP. FREELANDER MK 1. LAND ROVER. Trailing Arm Bushes. Windscreen Wiper Motors. Lower Ball. LAND ROVER MSR100320. ROVER 75 Tourer (RJ) 2.0 CDT Estate Diesel 08/2001 05/2005 FWD 16 115 85. ROVER 75 Tourer (RJ) 2.0 CDTi Estate Diesel 02/2003 05/2005 FWD 16 131 96. ROVER MSR100320. ROVER 75 (RJ) 2.0 CDT Saloon Diesel 02/1999 05/2005 FWD 16 115 85. This will fit any Land Rover model with a 300 Tdi engine from 1989-1998. 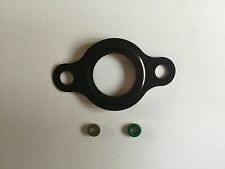 Part Number: BR3100R. kit car or Land Rover Defender V8 External Fuel Pump. Suitable for all Land Rover Defender V8 models upto chassis number MA962814. L R Parts Ltd is an authorized Bearmach distributor, we specialize in new Land Rover Spares, stainless steel bolt sets for Land Rovers and general maintenance parts. PARTS NUMBER: WFX000250. LAND ROVER DEFENDER 90 TD5 1999-2006 MODELS. WITH THE FUEL TANK OVER THE AXEL. FREELANDER (LN). Land Rover Freelander. FREELANDER Soft Top. IN TANK DIESEL FUEL PUMP. LAND ROVER. 1.8 i 16V Diesel 1998-02 - 1796 88 120. 1.8 16V Diesel 1998-02 - 1796 86 117. 2.0 Td4 Diesel 1998-02 - 1951 82 112. OEM Part Numbers : WQC000220, WFX000280, WFX101080. LAND ROVER DISCOVERY MK2 2.5 TD5 (1999-2004). Land Rover. Car : LAND ROVER. With Fuel Sender Unit. Direct 2 Public. Compatability Chart is for the reference only. 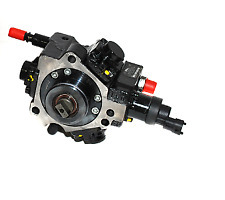 OEM Part Numbers : ESR3926. Land Rover Discovery 3.9 V8 [1993-1994]. Car : Land Rover. Custom Label : TLRESR3926. LAND ROVER SERIES 2A 2.25 petrol. LAND ROVER SERIES 2 2.25 petrol. LAND ROVER SERIES 3 2.25 petrol. Note: It will not fit Defender 110 and 130 series. Fuel Pump Assembly. High Pressure Fuel Pump. Fuel Injectors. Make Model Year Series Engine Fuel. Quantity Sold : One Piece.